Protect Against Punctures to your pool liner with Wall Foam. Create a smooth wall surface with this closed-cell 1/8-in foam padding that helps to prevent rust, corrosion, and other wall degradation from puncturing your liner. Help keep your liner like-new for years to come with wall foam! For continual dispensing of chlorine, this Chlorine Dispenser is made of non-corrosive materials and designed for balanced buoyancy. The adjusting chlorination ring can be set to give you just the right amount of chlorine needed to keep your pool water balanced perfectly. Twist-lock cap makes refill quick and easy. Holds up to 3 inch tablets. For removing leaves from pool/spa floor, this rake is constructed out of an aluminum inner frame with a protective mar-proof outer frame that protects pool and spa walls from scuffs. The aluminum handle comes complete with quick-release spring clip for easy on/off access to any standard pool pole. This rake features a durable deep-pocket close-mesh net. For removing surface leaves and debris, the Telescopic Skimmer collapses to approximately 4.5' for convenient storage and quickly extends to 8' as needed. This grab-n-go maintenance tool is a must have for touch-up cleaning. The sturdy molded frame protects pool and spa surface from scratches. The easy-lock cam tightens in place with a quick twist. Replacement solutions 1-5 for 5-Way Test Kits. Tests for chlorine, bromine, pH, acid demand, and total alkalinity. Easy to use colour matching caps help guide you through your testing process. Maintaining proper water chemistry keeps pool clean and healthy. 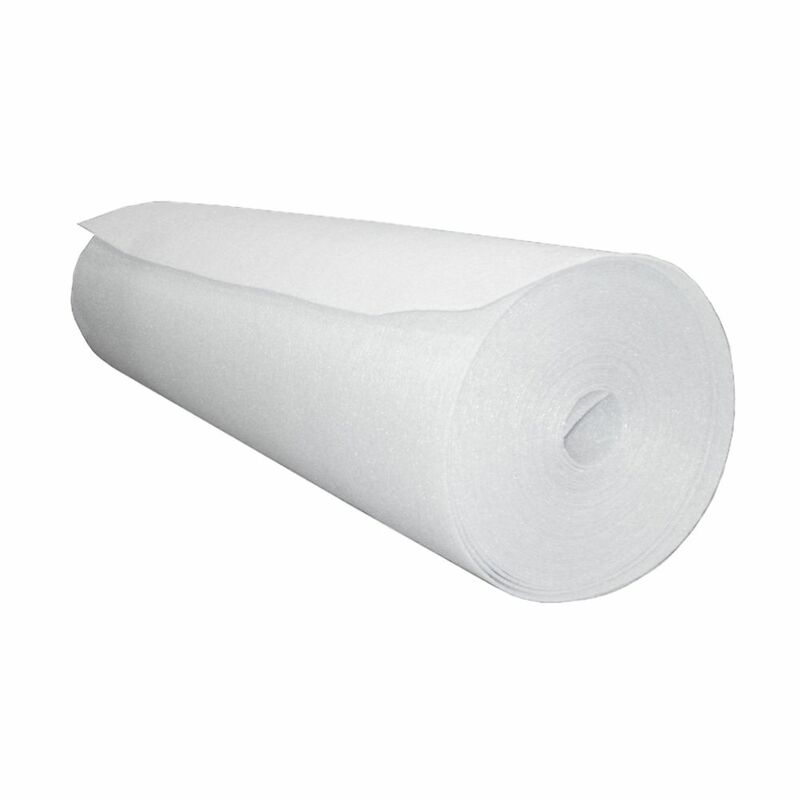 1/8-inch x 42-inch x 125 ft. In-Ground Pool Wall Foam Roll Protect Against Punctures to your pool liner with Wall Foam. Create a smooth wall surface with this closed-cell 1/8-in foam padding that helps to prevent rust, corrosion, and other wall degradation from puncturing your liner. Help keep your liner like-new for years to come with wall foam! 1/8-inch x 42-inch x 125 ft. In-Ground Pool Wall Foam Roll is rated 4.4 out of 5 by 5. Rated 5 out of 5 by DYIPro from Worked as intended and much cheaper than pool store or online warehouses. Worked as intended and much cheaper than pool store or online warehouses. Rated 2 out of 5 by Anonymous from Check the package The product is great. The amount shipped was short by 25 feet. There is no way of knowing this until you are in the middle of the job. All of the labels said 125 feet. I had to go buy a roll of a similar product to complete the job. Rated 5 out of 5 by Dieman68 from Excellent Product I recently replaced my in ground pool liner. My walls were a little rusty especially near the waterline in the corners. I scraped and primed the walls and applied this product with gladon adhesive spray, The pool walls feel like brand new behind the liner. It was well worth the extra steps. Rated 5 out of 5 by John from Very good pool wall foam for the price Easy transaction. Wall foam fits perfectly. Easy assembly.